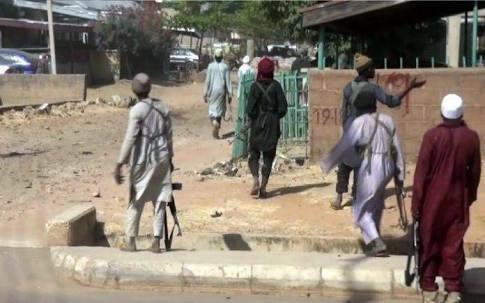 Suspected Boko Haram members on Saturday invaded a village on the outskirts of Maiduguri, Borno State, and razed as much as 65 houses. The attack forced many of the residents to flee the village to avoid being killed by the terrorists. However, some people were injured while a cripple was allegedly killed.